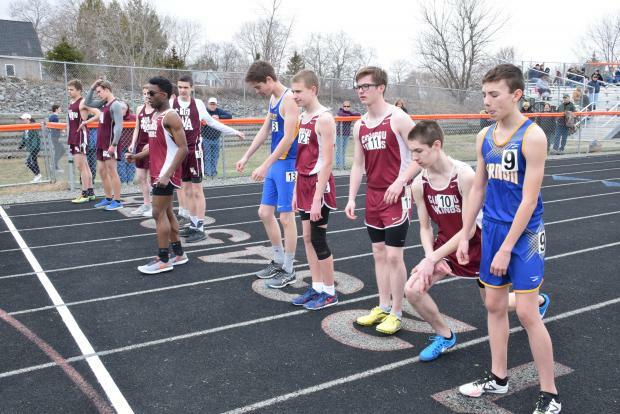 While not-so-spring-like weather was rearing over much of Maine on Thursday, the Penobscot Valley Conference kicked off its regular season with a multi-team meet at the Brewer Community School. Even though fast times and long distances were at a bit of a premium as the season is in its infant stages, the Brewer girls and Caribou boys gutted out team victories on a gusty, chilly afternoon. The Vikings made the long trip from Aroostook County worth it, eking out a 149-142.50 victory over the Witches, while Hermon took third, accumulating 122 points. Rounding out the scoring was Belfast (111.16), Washington Academy (32), Mattanawcook Academy (21.33) and Penobscot Valley (4). The boys' meet featured the spring debut of one of the best jumpers in the nation in Lynx junior Cayden Spencer-Thompson. Thompson's only individual event came in the triple jump, where he posted a winning mark of 45 feet, 4.50 inches. The team competition also showcased a battle between two teams expected to be in the top rung of the PVC this spring in large-school entry Brewer and small-school contender Caribou. 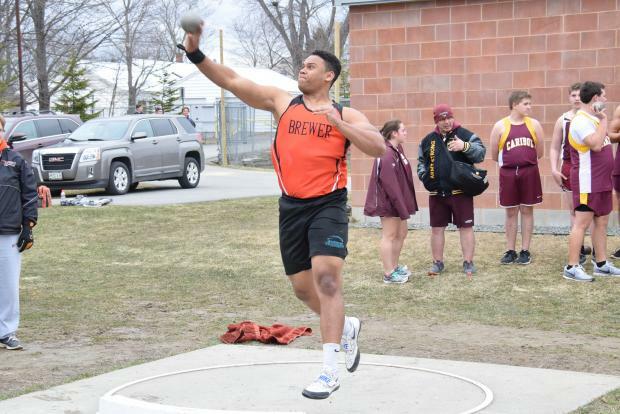 Leading the way for the Witches was the boys meet's lone three-event winner, Garrett Graham, who swept the throwing events (50-2 in the shot put, 122-8 in the discus and 142-9 in the javelin). Caribou's individual victors included Evan Desmond (8:16.34 in the 1600 race walk) and Cory Jandreau in the 400 (57.15) and pole vault (12 feet even). Washington Academy junior Matyas Nichtiagall took home a pair of wins in the distance races, clocking in at 10:41.72 in the 3200 and 4:44.53 in the 1600. 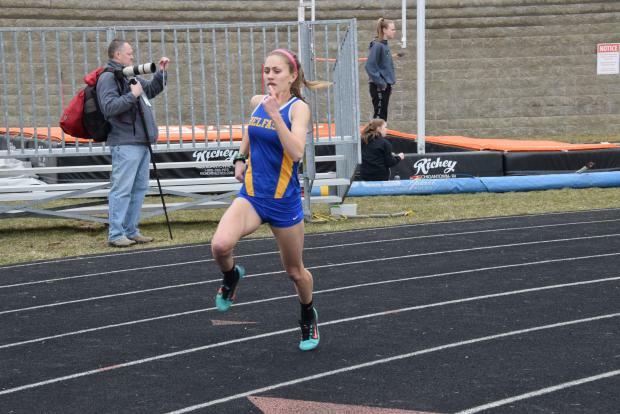 Bendix Gerling of Brewer also earned a pair of wins in the 100 (11.74) and 200 (23.25). The team competition was also narrow in the girls' meet, with Brewer edging out Caribou 171-155 while Belfast was right behind in third with 151 points. Concluding the team scoring was Hermon (46), Washington Academy (8), Mattanawcook (7) and PVHS (1). The discus and shot put proved to be two of the difference-makers for the Witches, as they took 47 points in those two events while also going 1-2 in the 100 hurdles and 1-3-5-6 in the long jump. Lilly Blakeman spearheaded Brewer's throwing onslaught, winning both the shot put (29-1.50) and the discus (92-10), with Abby Stroup claiming the long jump (15-5) and Hannah Hopkins and Kaitlyn Helfen taking the top two spots in the 100 hurdles. Individual bragging rights went to Belfast sophomore Junne Robertson-McIntire, who swept the sprinting events. Robertson-McIntire was clocked at 12.83 in the 100, 1:05.62 in the 400 and 29.13 in the 200. Brewer's Helfen also cleared 8-6 to claim the pole vault.